Electronic Signal Conditioners and Isolators | De-Mar Inc. 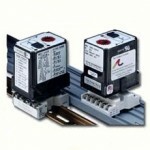 Distributor of Action Instruments signal conditioners! 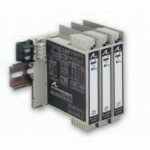 Action Instruments is the industry standard for electronic signal conditioners used in factory or machine automation. Industrial applications use a wide array of sensors to measure DC, temperature, flow, length, speed, potentiometer, bridge/strain gauge, AC and frequency. These signals may need to be converted and scaled to the instrumentation they are connected. Thermocouple, RTD, DC voltage, AC current, AC voltage, frequency, and resistance inputs can be converted to an isolated and scaled output 0 to 10 VDC or 0 to 20 mA. Wide spectrum of styles offered. Two-wire, four-wire transmitters, DIN rail mounted, panel mounted, Ethernet connectivity, DC powered and AC powered. 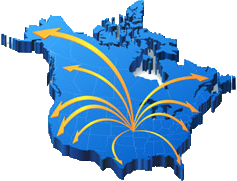 Action Instrument units have: UL-CSA-CE approvals. Distributor of Action Instruments signal isolators! Action Instruments signal isolators provide ground loop isolation and provide noise filtering. A ground loop can occur if more than one ground connection is made to a single control signal. Because grounds are seldom at the same potential, an unwanted current will be generated and interfere with the control signal. Signal isolators break the ground loop current path and maintain the integrity of the measurement. Isolators also incorporate low pass filters that eliminate high frequency EMI/RFI and unwanted signal distortion from power lines, generators, and motors. Thermocouple, RTD, DC voltage, AC current, AC voltage, frequency, potentiometer, bridge/strain gauge, and resistance inputs can be isolated and provide a scaled output 0 to 10 VDC or 0 to 20 mA. 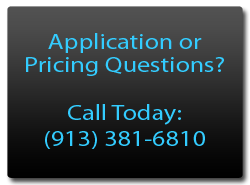 Call for competitive price quote! 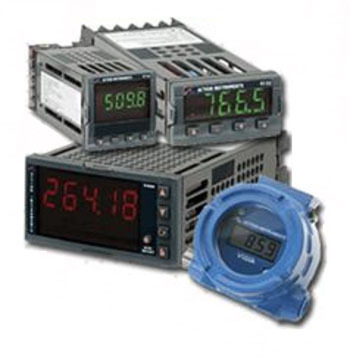 Action Instruments also provides transmitters, alarm units, digital indicators, and power supplies! Action Instruments offers a wide range of products for various electrical and industrial applications. Isolating 2-wire transmitters available for RTD, thermocouple, and mV input. Programmable and scaled input for 4 to 20 mA output. PC based for user or factory configuration. Miniature thermal-head mounted, 2000 VDC input to output isolation, loop powered 9 to 40 VDC, single or dual inputs, and universal input reduces inventory. 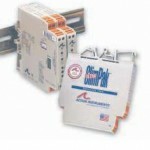 AC and DC powered 4-wire alarm units. Thermocouple, RTD, DC voltage, AC current, and AC voltage inputs can be programmed for an alarm condition output with dual SPDT relays. 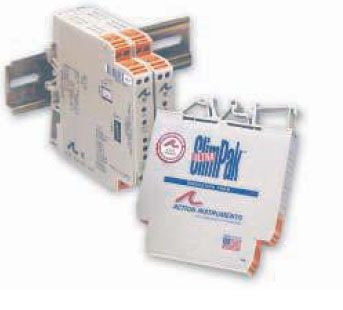 Alarm units also offer the following features: DIN rail mounted, interlocking modules, PC based setup, and simple calibration. Digital indicators in 1/32, 1/16, or 1/8 DIN sizes in VAC or VDC power requirements. Field configurable for RTD, thermocouple, mA, or mV input. Multiple alarm set-points with 1 to 2 outputs. Combination alarm functions, alarm blocking, and programmable latching/non-latching features. 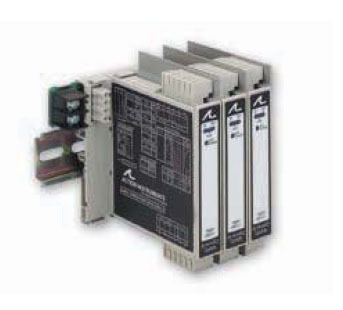 Power supplies with compact size, DIN rail mount, thermal shutdown, overcurrent shutdown with auto reset, and UL-CSA-CE approvals.